It’s unofficially official, Autumn is here. We may not reach the Autumn equinox for a few more weeks but the weather seems to have changed overnight, the leaves are falling, Autumn I am ready. Autumn is my favourite season, I love the colours, the cosy nights in and the style, I love nothing more than a comfy jumper and a pair of chelsea boots. Unsurprisingly I have jumped the gun and said goodbye to my summer wardrobe. 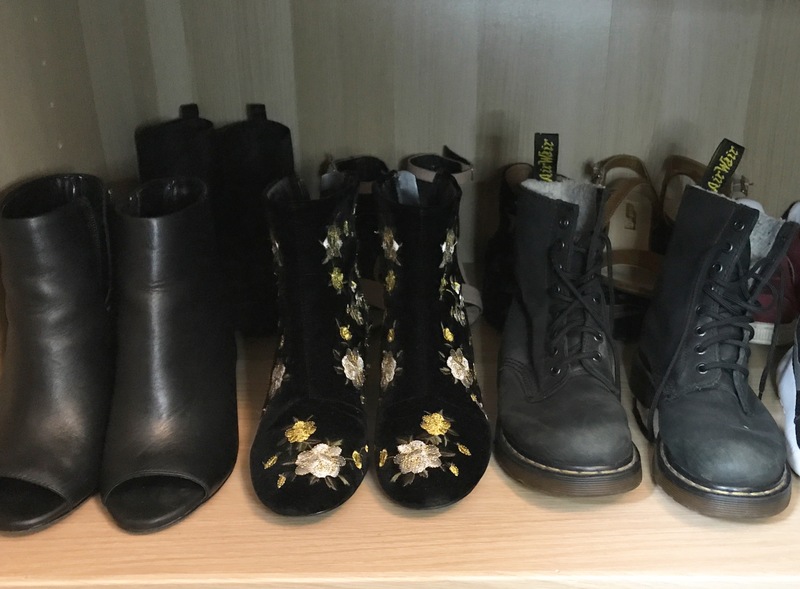 You may remember a while ago I posted that I wanted a curated closet, I wanted to cut down the amount of clothes I owned and have an edited wardrobe of clothes that I love to wear and that work well together. Well a few months down the line and a few clear outs later I do feel like all the clothes I own I like and work reasonably well together. For the first time however, I have decided to fully try the capsule wardrobe thing out. 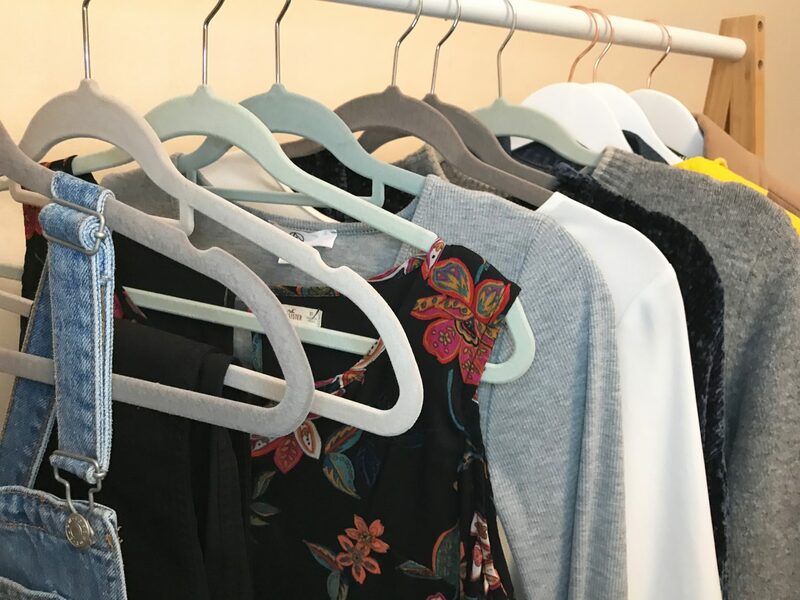 Essentially you rotate your clothes seasonally, storing off season items out of view so you can only see clothes appropriate for the time of year. You are also supposed to keep the number of items to a minimum, ideally 37- for me this is currently unachievable, I love a good clear out but I’m nowhere near that point yet so for now I have more and that’s okay. Summer clothes ready to be stored away. 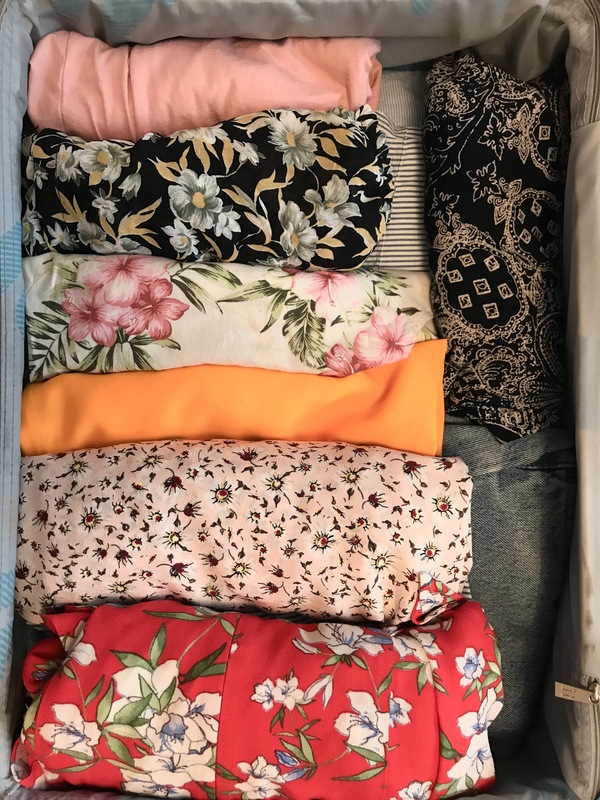 So at the start of September I packed away all of my Summer items neatly in a suitcase and put it aside as storage in the top of my wardrobe, now all I see is clothes that I can wear during these transitional months rather than them getting lost amongst tiny vest tops and dresses that I can’t wear for the next 6 months. Obviously as I am at Uni I have some items that are occasion wear, ie. I will only wear them on nights out, these are the exception to the whole temperature thing, as I do need a few on hand for evenings out. 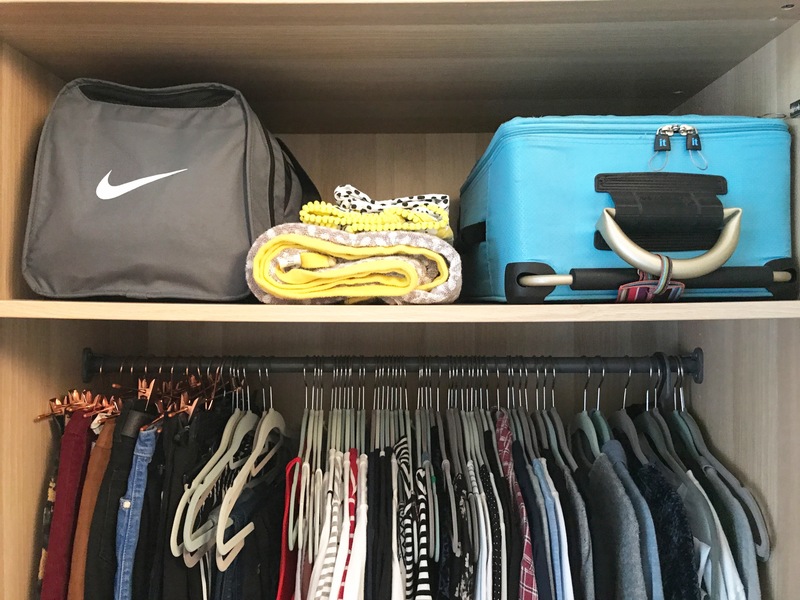 Lifestyle: What do you need clothes for most? Work, Uni, Socialising. If you work 5 out of 7 days a week you may need more office wear than casual errand-running clothes. In contrast if like me you are at Uni or home most of the time and wear a uniform to work, you will need more comfortable, warm items with less formal wear. Temperature: Like I’ve already said, theres no point keeping mini skirts and camisoles in for Autumn unless you plan on layering them with tights or with a t-shirt underneath, as we all know the weather is about to get rubbish. Special events: Once you have narrowed down your clothing options, make a list of any events due to happen in the upcoming season. For example I want warm, cosy clothes but I know that I have freshers week so will need evening wear, not to mention a holiday to Barcelona where I will need more lightweight pieces still so I need to keep a few skirts and short-sleeve tops available. 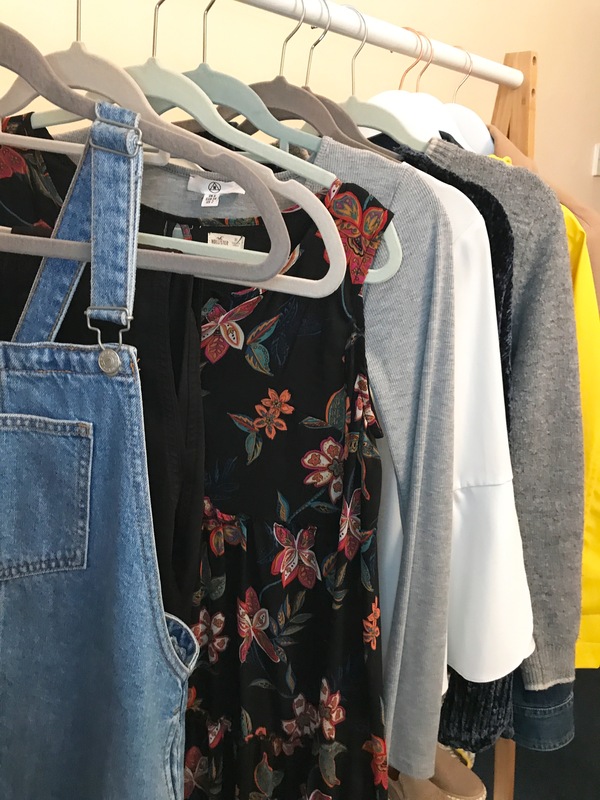 You can see from my wardrobe now there are a lot of long and bell sleeves, jumpers, jeans and heavy materials such as denim dungaree dresses in my colour palette of grey/black/white/denim/blue and a splash of orangey/red. 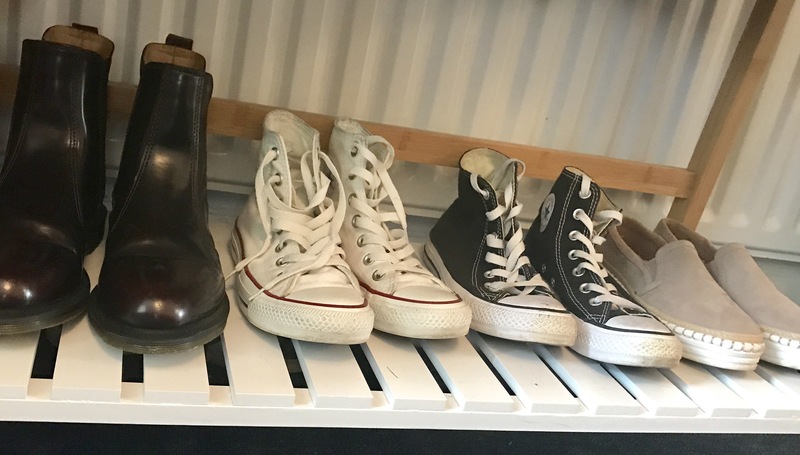 I’ve also swapped out my summer shoes to the back of the wardrobe to replace them with my boots, converse and trainers which are more practical for this rainy season. 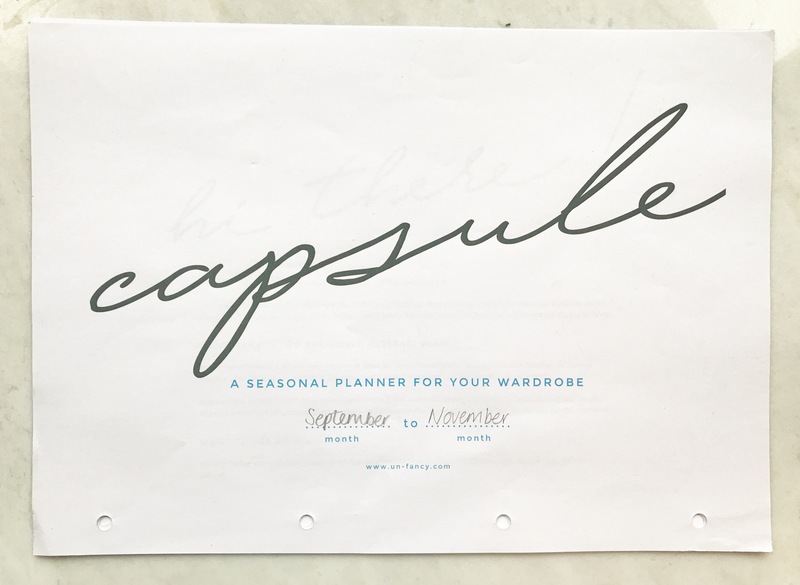 One of my favourite resources to use whilst I was messing about with my wardrobe was un-fancy.com, a blog dedicated to capsule wardrobes, where you can print out a free wardrobe planner to help you plan what you will wear and what your wardrobe is missing for the months ahead. 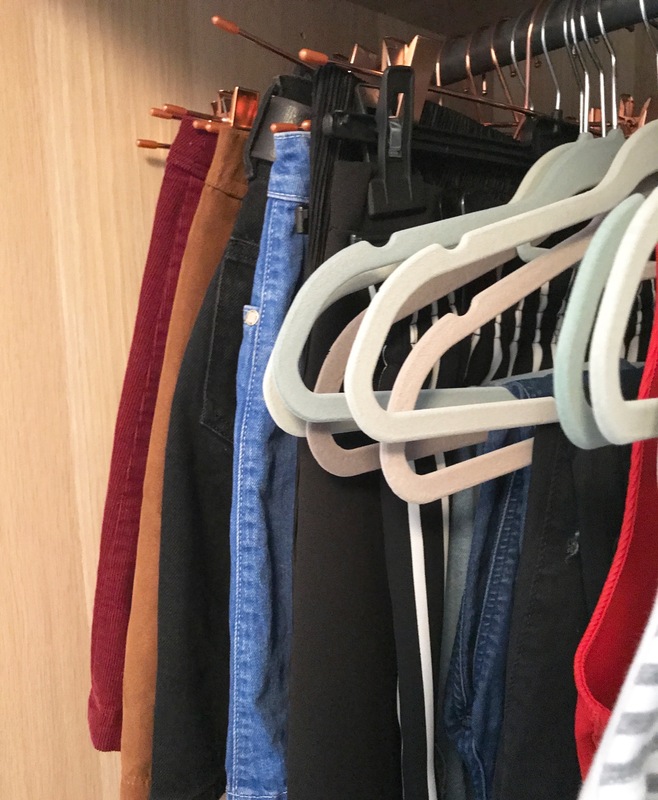 By using this guide I created a concise shopping list of a few ‘basics’ I was missing such as a pair of good black jeans, some dungarees and some Chelsea Boots that will last. The other idea linked with this style of wardrobe is to only buy a small amount of items each season that you know you need, instead of allowing myself to go off and buy loads of items all season I’m going to try and not shop for clothes over the coming months once I’ve picked up a couple more bits. I’ve grabbed the jeans, dungarees and boots, now all that’s left is a grey cardigan so after that I should be done. It’s a great way of not accumulating too much stuff that just gets thrown away and it also saves money in the long run. So yeah that’s the current situation with my wardrobe, it’s not limited to the magic number but it’s all stuff I wear and that are season appropriate so that’s good enough for me. 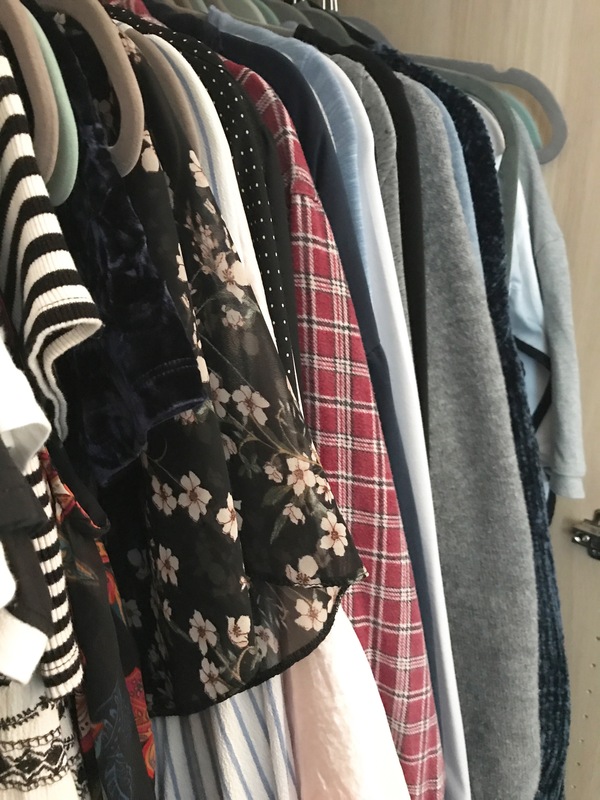 Let me know in the comments what your thoughts are and if you have any tips or insights into organising your clothes and also if you like these style related posts. Thanks! Your organization is so pleasing! These are some great tips. Love how organized you are. It’s admirable! Thankyou I’m glad you liked it! Lovely post and you are right unofficial autumn is here already. Looking at the photos seems like you`ve organised everything already. Love all the colours and prints you have! Thankyou! Aw fingers crossed you’ll get some Autumn weather eventually! It’s so weird how the seasons differ in different countries isn’t it!